Hey! What’s up, everybody? It’s Chris and I hope you’re having a fantastic day! Today we are going to talk about motorized scooters and what this revolution means for your mortgage business. Down here in California, these things are everywhere! Everybody uses these scooters to get around because they’re super cool and really easy to use. One of the things I’ve noticed is that there are people of all different shapes and sizes that are riding around on these things. You’ll see people who have never seen them before that walk up to them and find the QR code on the front so they download the app on their phone, scan the QR code, put their credit card information in and away they go! They have instant transportation – it’s amazing! But, if you think about the concept for these things – even just five years ago (having the technology of owning a smartphone, having internet access at all times, and having the ability to download an app on your phone to take one of these scooters out) -it couldn’t have existed before now. How Does This Relate to Mortgage Leads? Your mortgage consumers are no different than the people looking to rent these electric scooters. They are using their phones to get the information they want about mortgages. They’re doing their rate shopping online. They’re getting all the information they want using apps and other technology on their smartphone. It’s changing so fast and you need to keep up to date to be competitive in your industry. This is the exact reason I am so excited to share something incredibly exciting (at least for me) with you today. We have opened The Connection Inc. Inner Circle for the first time ever! On this website, I’ve written you a letter that explains what it is and what’s inside. Basically, it’s a monthly newsletter where I’m going to be publishing what’s working right now in both mortgage marketing and marketing in general. I’m also giving you campaign frameworks that you can implement in the marketing for your own business, a full marketing community and access to a monthly call with me and weekly calls with our account managers so you can get the help you need to actually launch these campaigns. 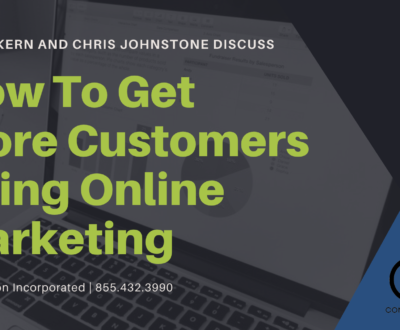 The whole purpose of this thing is to bring you up to speed with the changes that are happening in the world around you so that you and your mortgage business can stay ahead of the curve and can continue to grow and generate mortgage leads. Sure, the methods have changed a little bit, but at the end of the day, people still want to talk to you. All we are doing is using new digital sources to bring those customers to you so you can grow your business and close more deals. I’m going to walk you through the whole process in The Inner Circle. I’m looking forward to seeing you in our Inner Circle and I really hope you enjoy it! Another part of this big announcement is that all of our Done-For-You customers (all of you that are having us do all your marketing for you on Facebook, Instagram, Google, YouTube) get access to this for free! Right now our initial pricing for access to the Inner Circle for those of you that are not currently on the Done-For-You program is $247/month. That monthly fee gives you access to the monthly newsletter, the campaign framework, the weekly coaching, and the private Facebook group. Again, all of our current clients – you get this for free! That’s a $247/month bonus that you’re getting, just as my way to say thank you for being our customer and allowing us to be along this journey with you. I hope you enjoyed today’s lesson on keeping up with technology, now come along with me for a ride!